Sales of electric bikes have spun into high gear this year — some merchants reporting a 6000% increase in sales. This is good news, because, for short trips, the efficiency and convenience of electric bikes is hard to beat. You may have heard that in the U.S., 40% of all trips are made within two miles of the home, and 50% of workers commute five miles or less to work. Currently, the top-rated electric bike conversion kit on Amazon is the Currie Technologies Power Kit, which gets an average of 4.3 out of 5 stars from reviewers. This kit converts a 26-inch mountain or comfort bike into an electric bike. What you get is a hybrid bike that can be powered by pedaling, or by engaging an electric motor. Using the kit, you can go 15 minutes on electric power alone (the range can be doubled with an optional second battery pack). The pack include a lead-acid battery, which requires 6 to 8 hours to recharge when completely depleted. The Currie Technologies Power Kit is available from Amazon for about $300. The Currie Kit is a good entry-level kit, but if your are interested in a lighter kit with better performance you may want to try a kit with a lithium-ion battery, such as the Hill Topper or the Bionx. The Bionx kit has been around the longest, and is generally regarded as the best quality conversion kit, selling for $1600. Note that lithium-ion battery packs cost more — $815 for the Hill Topper, which about as low as you’ll get for a lithium-based conversion kit. Another good electric bike I’ve tried is from a family-run company called AmpedBikes. The founder, Danny L. Ray, was unhappy with the quality of the kits he was getting from China, so he visited China and found a company that were willing to build a kit to his specifications, using the parts he chose. The AmpedBikes kits incorporate a brushless 36V 500W electric hub, and can be installed on almost any bike with 26″ wheels. Ray says the kits can be installed in about 20 minutes, and he an installation video on his website to show how it’s done. cumplir sus sueños y disfrutar plenamente de su maternidad. All that issues is that they get the job completed, right? Floristeria online con amplio catalogo de flores y regalos para envios a domicilio en el mismo dia, nacionales e internacionales. I just read through this. I read all of the forums.No one uses nine continent conversion kits and re-brands anything. You can get a Chinese kit off of Ebay for $350, these are the lowest end, 15 MPH kits. If you have a problem then what? It pretty much goes on and on about this guy and his support. you are pretty much on your own if your kit fails. There are plenty of great kits out there. At least if you buy in the USA you have re-course. The E-bikekit site says Clearly that it is up to him, the sole employee and owner if you get your $$ back or not. I am trying to start a company to install electric conversion kits to the Effingham, Il. area. It sounds like you’ve “been there;done that”. I want to provide superior service and would like to use your kits as a model. Would you please give me advice as far as capital start-up and advertising/marketing of this venture. Thank You for any help and God Bless You and Yours! Hey, my coworker and I are looking for cheap electric bike conversion kits so that we can commute to work on them. We carpool, but gas is getting really expensive and farmwork doesn’t pay very much. The farm is 7 uphill miles from where we live. It would be totally bikeable with a regular bike if we didn’t do hard physical labor all day. The cost of food if we were to both start burning an extra 1000 calories a day would be more than the cost of gas. also that is great !! Anybody have experience with amp’ing a footbike/kickbike scooter? I actually have a Mogo scooter and looking to motorize it reasonably. Thanks for the review. We now have two ampedbikes conversions in the garage. The difference is that the bikes don’t stay in the garage anymore! Great deal! Thanks for the informative review! yes, power and wheel size ..they can install a full kits for you . also LifePO4 battery is safty . china has a mainly manufactory ,you can review and buy from online:www.electricbicycle-conversionkit. Two things to promte the ebike in US. One is pricing and other is reliable quality. It is too expensive in market. I have contact the best manufactures in China for ebike motor and lin-ion battery. The price for whole kits is about $350.00 in China. I saw people sell them for $800 to $900 here plus it is not best product from China. china has a mainly manufactory ,you can review and contact online:www.electricbicycle-conversionkit. The E-BikeKit™ Complete Conversion System offers the ultimate electric bicycle conversion solution. Complete System includes the E-BikeKit Conversion Kit plus the E-BikeKit LiFePo4 battery & charger. The complete system has everything you need “out of the box” to convert your conventional bike into a high-quality electric bike. Visit http://www.folding-electric-bicycle.com/ for more information. Visit http://www.E-BikeKit.com for more information. i can afford the fuel so don’t care about that but riding ebike is reall fun. you need 1-2kw to have actuall fun tho. The electric motors for bikes have caught my eye. My bike is a runner’s one, the ones with the skinny wheels http://imgcdn.adoosimg.com/bb6035cf8084d2c45e3fb434b294-1-3.jpg (here it is), I weight 250 lbs. Think I will be able to install the motor kit on it? What’s the motor’s maximum speed and how long does the battery last? Thank you very much, any additional information you may want to let me know before I buy this will be greatly appreciated. I guess I need to throw my hat into the promotion ring here too. visit http://www.falconev.com for some different motors and batteries. 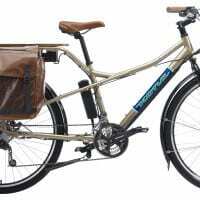 For more information on the best buy in electric bike conversion please visit E-BikeKit.com. that is an insult. i have 5 of these ebikekit motors and controllers. what i was responding too is the delberate lies spread by that phoney eric guy about how the spokes are bent, and how it is dangerous which is a total lie. the wheels came in perfect shape, and i have a park truing stand to establish that, so i can say for certain they are not bent or have bent or damaged spokes or dented rims, which i have seen on other bike kits that get shipped direct from china since i help out other guys here in portland with ebike problems from buying the ebay special ebike kits. 9 continents makes a buncha different motors for sure, but they don’t put the kits together and this kit from ebikekit i feel is so much better for the money because of the 9 FET infineon controller and i was able to buy a kit so cheap from ebikekit that i bot 4 more for a community ebike sharing project i am starting in portland. if you something about ebikes you would know what i mean, and who i am. i thought it was amazing that jason would actually pay the conversion fee for newbies to have their motor and controller installed at the bike shop if it was too difficult. which it really may be for people who are totally green in terms of tinkering. but for anybody who likes to build bikes like me, then the deal was the cheap price from ebikekits.com, so that’s why i bot from him. i wanted to buy a 9C kit from justin but it was just outa my price range until jason offered them so cheap. the difference between the direct drive and the geared motors is the ability to use regen for braking with the direct drive motors but you cannot get regen out of a geared hubmotor. also the ability of direct drive hubmotors to shed more heat than a geared hubmotor, from the large amounts of power that get pushed through the motor, is why i wanted to use a direct drive 9C rather than the geared type hubmotor. for someone like me who has to fight the rain then one of the most important features on the 9 continents motor is the seals on the axle to keep out the moisture because that is how the hall sensors get shorted out and die. even C’lyte is now using seals like 9C has on the axles. this is so important in the pacific NW. a lotta of us up here like our electric assist, in large doses. but rain is the enemy of ebikes everywhere and so i think the seals are proof of their just overall higher level of quality. power was why i did the 72V upgrade thread on the 36V 500W 9 FET Infineon controller that jason includes with his ebikekit and posted it up on the sphere. this controller can be reprogrammed to adjust the regen and power so they provide a useful platform for those of us who want more. and cheap too. i know a lot of other ebikers on the sphere that bot hubmotors and kits from jason at ebikekit.com too. we weren’t swayed by lies from fake phony guys. we bot the best we could get for the least amount of money. same as anybody would. that’s what jason offers. Folks. you shouldn’t trust some of these comments since they are planted by the competing manufacturers. All of the equipment for both of these bikes kits are made in China in the same factory under the name 9C and then rebranded here in the US. i just read this comment from jeff stearns and i find it totally false. i have five, yes five 9 Continents hubmotors i got through e-bikekits.com and not a single motor had a defective spoke, not one. 180 spkes, count em, not one! if jason at ebikekits is correct and this is slander deliberately used to damage his reputation because he has undercut the price on hubmotors so much then the site moderator here should do something to edit the sources of these defamations. if you wanna see how people feel about the 9C then go over to the sphere and see how many people talk about their builds using a 9 C hubmotor they bot from jason at ebikekits.com because he was so much cheaper. i think his kits are great too because the 9 FET controller can be used at 48V and i figured out how to modify them to run safely at up to 72V lifepo4, and because the motor is direct drive with seals on the axle to keep out water. i did not want a geared hub because i want to use regen for braking and the large direct drive hub motors can handle the heat over longer periods of heavy use. just everything about my 9C i think is so neat. but i don’t sell bikes or kits, i just like to build my own. It had loads of information and was updated often. Thanks Sharon! We called Amped and we called E-BikeKit.com and we eventually decided to go with E-BikeKit. Amped actually didn’t answer the phone the first time so we called E-BikeKit and they couldn’t have been more helpful. We bought 2 of the “E-BikeKit Complete Conversion System with 36v10ah LiFePO4 Battery” and we were very impressed with the whole package. They even included a couple t-shirts, zip ties, a professional manual, a spoke wrench for maintenance and a universal torque arm($30 extra from Amped) with each kit which is a really nice touch. based on our experience with other conversion kits in years past we were surprised by everything that was included. The LiFePO4 batteries are amazing. My husband and I have been riding whenever we get a chance and have gone on 20 mile trips with no sign of losing power. I have used lead acid batteries before on a bike we had years ago and this is a whole new world. They are the two black Schwinn Sidewinders on the second page. Thanks for your advice and we’ll see you on the road! Overall we would recommend E-BikeKit.com and their complete electric bike conversion offering to anyone interested in converting their existing bike into a really nice electric bike. The reason we chose the amped kits, was first off we rode them at the show, then did some research and found that they are just about the best on the market. There are alot of knock offs of the amped kits so we decided to simply buy the origional. We bought at the show so we paid around $320 each kit. Can you tell us what you paid? We are looking at the E-BikeKit conversion system from http://www.e-bikekit.com and trying to decide between this and amped kit. The amped website is not that good but the e-bikekit site is pretty impressive. Does anyone know what the differences are between the two kits? The E-BikeKit kit seems to offer a lot more out of the box and also a nice LiFePO4 battery. What kind of batteries are you using with your kits? Best of luck to you. If you’re new to the electric bike you have a lot to look forward to. These things are so much fun! We saw rode and bought 3 ampedbikes kits yesterday. They were at the car show, very helpful, knowledgeable and we are all up and running today. We saved about $4,000 as we were going to buy schwinn electric bikes. The ampedbikes have more power, no noise, easy to install and a blast to ride. Danny Ray was very knowledgeable and helpful throughout the whole process. Call E-BikeKit.com at 1.866.882.EBIK (3245). Their complete system is great for tackling hills. My husband is 225 pounds and goes up hills in the highest gear on his commuter bike. And they offer a 2 year warranty on the motors. Also check out independent forum sites like http://endless-sphere.com/forums/index.php to get reviews on electric bikes. That’s how I found e-bikekit. The people at Endless-Sphere really know e-bikes and e-bike batteries. What I don’t get is why you can’t figure out the specs of electric bike motors. I have a cheap Currie bike that would be fine for flat terrain, but I need something that will climb steep hills for several miles. I was talking with a local electronics shop to see if they had recommendations and they said no, they don’t even work on them because of the quality of the motors. Which leaves me wondering, why can’t you find out if these kits are any good? I don’t want to buy a motor that’s only going to last 2 years. There are so many kits, motors, and electric bikes out there but I’ve yet to see a comprehensive rating system. It’s just a wild frontier of start ups as far as I can see. Any suggestions on where to get good information? And to save comments from the “purists”; yes, I understand I can ride a bike without a motor. But, I use my electric bike for commuting to and from work and don’t want to be covered in sweat. Hence the electric bike. As a bicyclist, car drivers, walker and electric bike rider I get the pecking order: cars drivers don’t like bicyclists of any kind, bicyclists don’t like people using electric bikes, and walkers don’t particularly care for any of them. and…. stay on the black stuff between the trees. I was shocked at how much the kit cost but then I found out that it doesn’t come with the battery. My dad just started up an electric bike store called EZ Green Bikes and we’re selling them for $850 with lithium ion batteries. All I have to say about electric bikes are that they are great and for those complaining about how people should just ride regular bicycles…it’s difficult for someone that has a zero to low activity lifestyle to hop onto a bike and commute to work or school. Don’t discourage people from electric bikes…it still requires some physical activity and it’s better than using a car which equals better health and a better environment. As for the cost I guess all I can say is…gas prices can’t stay low forever. Jamey K. stated that he and his wife saved close to $6000 last year on fuel prices. Using his numbers for commuting, I came up with about 3744 miles between the two of them. If you figure their car gets about 20mpg (low guess?) and gas costs $5 a gallon (never got there) it would still only be $935 in fuel in a year. Now add in all the other costs of car ownership and they could have easily saved that $6K… if the cars went away. Insurance, registration, repairs etc… but fuel costs? Come on your giving electric assist a bad name with bogus claims on the savings. I’m interested in converting a recumbent to electric assist for commuting, I already rode over 4600 miles this year without any assist, but want more speed and not to sweat up during my commute going to work. But I’d like a system that drives through the chain so I can use my gearing with the electric. If anyone has some good suggestions… email me. I’m also looking for an electric kit for a recumbent with a 16in wheel. Have you found anything? I’ve found a Cystalyte 36V kit, but I do not know if it actually would work. I use my gearing for my pedaling, the torque range on my hub motor is fine for all the speed ranges I use. (it is happy when I am in my highest gear at about 60 rpm) and it can give just a gentle assist or a healthy assist at any speed I ride. Electric drive with power through the chain? Contact Jerry, The Scooter Guy, I have a Tour Easy recumbent with a small 1.6 hp Subaru motor that runs through the chain gearing and it works great. Will soon be doing the same thing with another recumbent but using electric instead. You can contact Jerry by calling: 503 847 1118. Rightfully so roger, in Britain there are lots of pedestrians the last thing they need is crazy people going around on electric bikes. Be environmentally friendly and walk, take the bus or subway. Save electric bikes for Americans. Don’t really even see what you would need them for. BionX is a good system if you have the cash. On the other hand, if you use it every day, it will pay for itself. Find a local dealer to install for you, it will cost about the same and you get the warranty. Also, it fits many different sizes of wheels, (in both black and silver), it fits your REAR wheel.. has Li-Mn batteries..
By far, worth every penny.. I have one on my hybrid, and I love it! I just got a price list for BionX from my local bike shop – prices for a conversion kit start at $900 , and if that wasn’t disappointing – they are heavy too. Im sold.. I just ordered one after reading excellent forum reviews. I had to get on a waiting list for the 15th of September. How did your electric bike conversion turn out? Looking to do the same. Hi Ras. I paid $80 for batteries locally for 3 12V 10AH batteries. So I have a total of about$440 into it. But to be honest at this point cost is not a factor. My next thing is I am upgrading to one of the new lightweight batteries. I want to buy one. How much did you pay in the end for yours? i know where you can get one reasonably priced…what’s kind of budget do you have? We to buy electric bike. We want to use it for transporting 1 or 2 persons to our farms and back. Now you are dealing with electric bike, you may have the answer few following questions for our guide. 1. Can do motor bike use battery to propel with fuel (pms)? 2. how durable is the motor bike? we intend to uuse them. 4. Can we make 3-5 sample order immediately? 5. Give us quotation for sample order, putting into consideration , weight, freight charges, etc to our destionation in Nigeria. We have been using ampedbikes conversion for over a year now as commuters, I have 12 mile commute and my wife has a 6 mile commute. We ride them on the average of 4 days a week, we get to work sweat free and together we saved close to $6,000 last year on fuel prices. We also have standard road and mountain bikes we ride on weekend for recreation and exercise, but during the week we commute for about $.01 per mile beat that! Its fun, it gets us outside and gives us a different outlook on the day. Electric bikes are especially useful for commuters, those with kids in tow, or elderly people. what’s the best deal out there for a standard bike in wet hilly conditions ? Any progress on your research? I’d be interested to hear. You should check out the Ridekick. It is an electric trailer that pushes your bike and turns any bike into an e-bike. http://www.ridekick.com. You know what’s more efficient than electric bicycles? always A strong supporter of the regular old bicycle, but I have been getting a tad older that I used to be, and have bad knees. without the electric assist, work was too far away, with too many hills. I couldn’t ride anymore. now I ride in, I pedal the whole way, (the batteries would not make it that far without it) I save gas, I get a workout, I feel almost like I did when I could ride myself. I like that you can fill in your own battery pack. That allows you to customize the capacity to your specific needs. I could see folks in hilly areas wanting more amp-hours than others. There’s no reason you couldn’t build this into a 700C rim too, but you might have some issues w/ the width of the dropouts (assuming it’s 135 mm OLD) on older road bikes.